Come join our special guest presenters as they speak on the subjects of Grief & Self Care! If you are interested in being a vendor or need more information email ywefoundation@gmail.com. 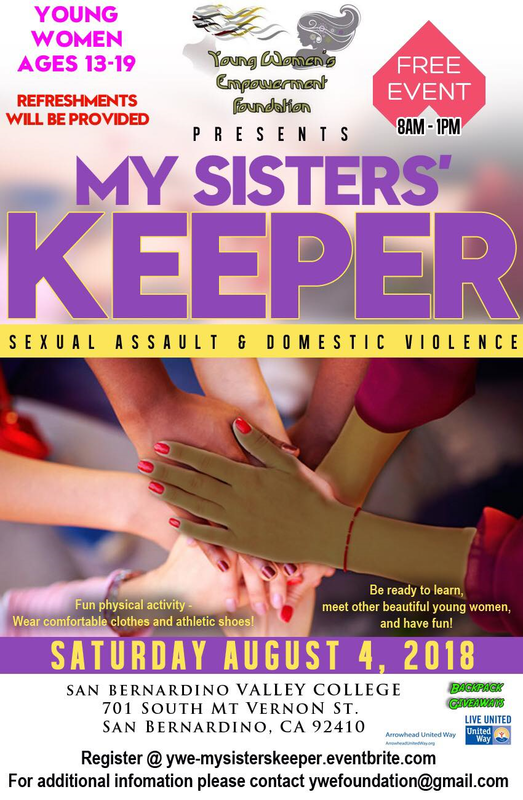 Join Young Women’s Empowerment Foundation (YWE) and San Bernardino United Way Women’s United for the Back-to-School launch of “My Sisters Keeper” & Back Pack Give Away to the first 100 girls registered. 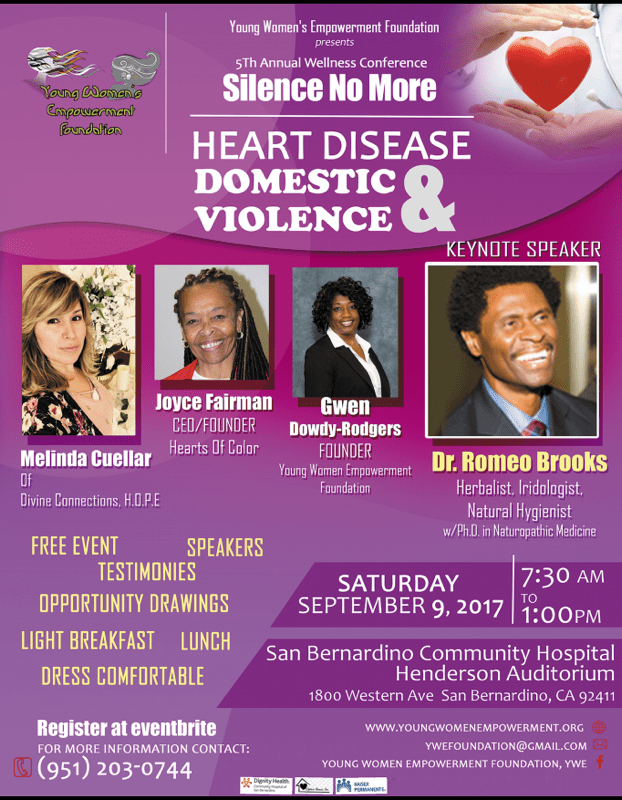 You are Invited to the 5th Annual Free Wellness Conference, Saturday September 9, 2017 7:30-12:30. Vendors email ywefoundation@gmail.com to reserve a booth! 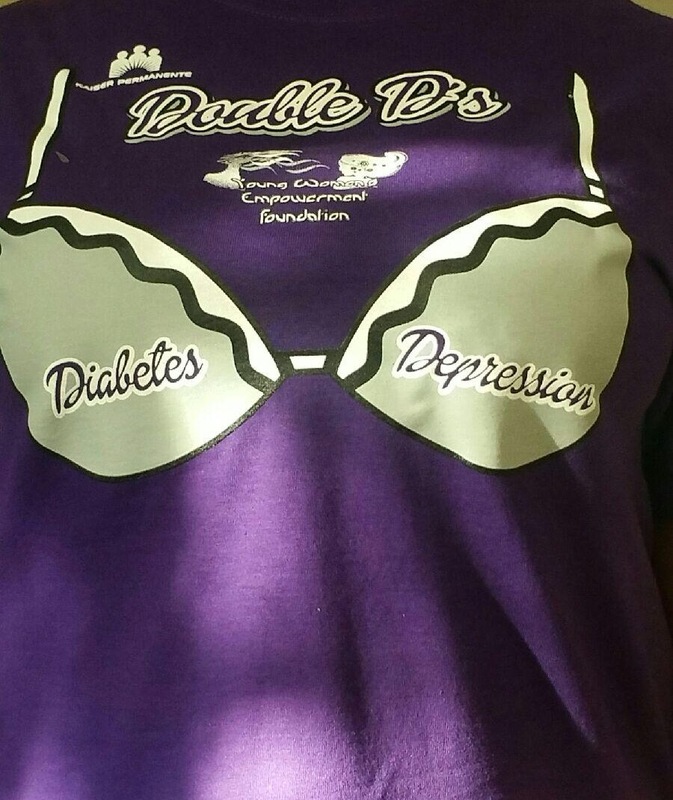 Due to the overwhelming interest in the T-Shirt that were seen during out Double D event today, we’re making it possible to order your own T-Shirt too! 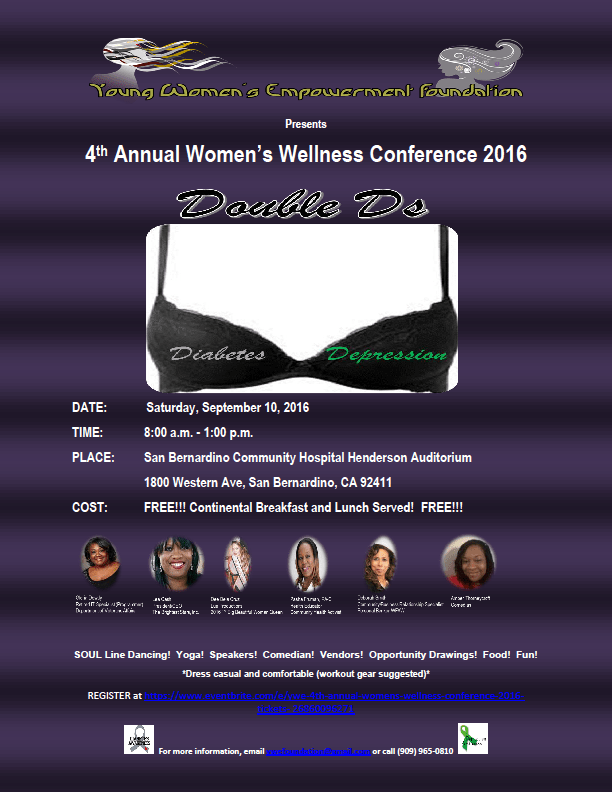 September 13, 2016 5:00 P.M. to 7:00 P.M.
You are invited to Young Women’s Empowerment (YWE) Free 4th Annual Women’s Wellness Event, Speakers, Activites, Give Aways, Food and More!! 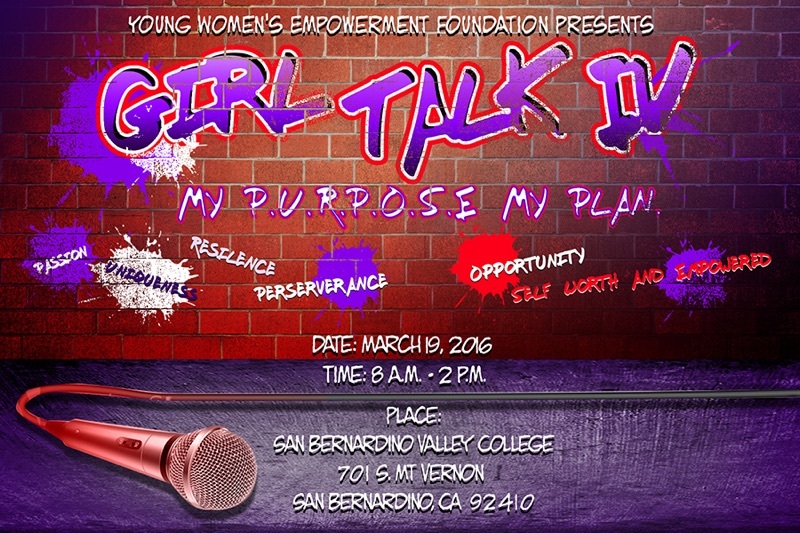 for additional information email ywefoundation@gmail.com or call 909 965 0810. 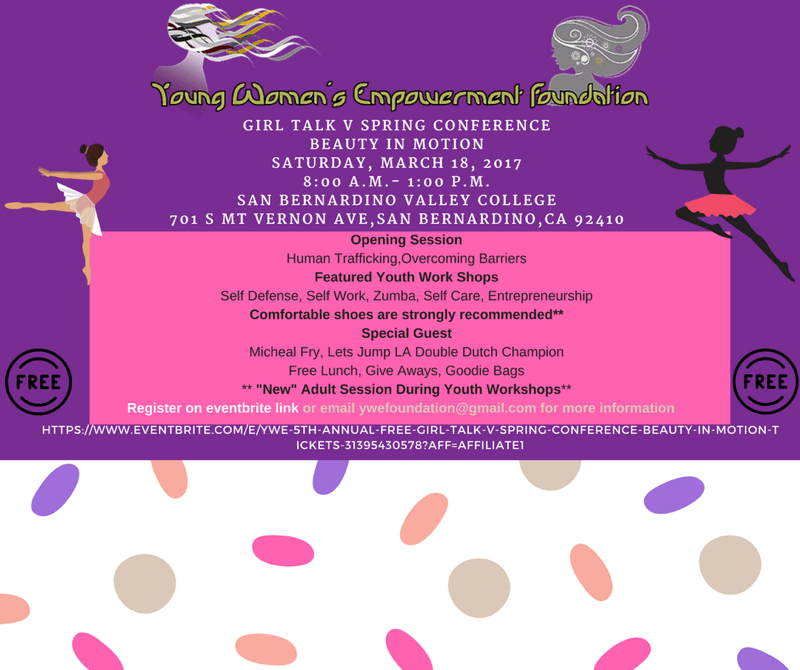 You are invited to Young Women’s Empowerment (YWE) FREE Annual Women’s Wellness Event!! TIME 8:00 A.M. to 1:00 P.M. Proudly powered by WordPress Theme: Royal.